Are you drawn into relationships with people who are self-centered, cold to you, misunderstand you, or use you? 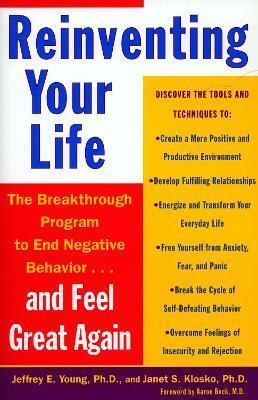 Reinventing Your LifeForeword by Aaron Beck, M.D. 2. Which Lifetraps Do You Have? Jeffrey E. Young, PhD, serves on the faculty of the Department of Psychiatry at Columbia University. He is director of the Cognitive Therapy Center of New York as well as the Schema Therapy Institute. Dr. Young founded schema therapy, and is a founding fellow of the Academy of Cognitive Therapy. Dr. Young has lectured and presented workshops on cognitive and schema therapies for the past 25 years and consistently receives outstanding evaluations internationally for his teaching skills. He has published extensively, including two major books, Schema Therapy: A Practitioner's Guide, for mental health professionals, and Reinventing Your Life, a bestselling self-help book. Dr. Young is coauthor of a psychotherapy outcome study evaluating the effectiveness of cognitive therapy in comparison to antidepressant medication. He has also served as consultant on many cognitive and schema therapy research grants, including the NIMH Collaborative Study of Depression, and on the editorial boards of journals including Cognitive Therapy and Research and Cognitive & Behavioral Practice. For his exceptional teaching skills, Dr. Young was awarded the prestigious NEEI Mental Health Educator of the Year award in 2003. Janet S. Klosko, PhD, Codirector of the Cognitive Therapy Center of Long Island, in Great Neck, New York, is senior psychologist at the Schema Therapy Institute and at Woodstock Women's Health in Woodstock, New York.